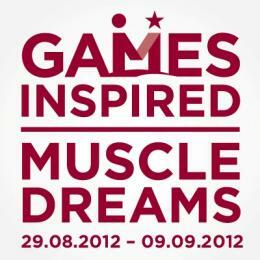 Home » Latest News » Intrepid European fundraising interrailers Grace & Megan pass £825 mark! Intrepid European fundraising interrailers Grace & Megan pass £825 mark! 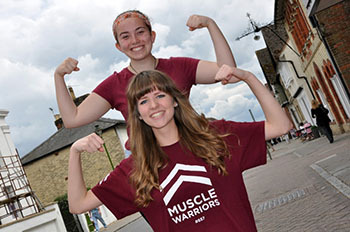 Meet intrepid adventurers Muscle Warrior’ettes Grace Handley (pictured above front) and Megan Eustace (behind) who set off on Sunday 13th July from Buntingford on an interrailing journey that’s already raised over £825.00 (incl gift-aid) for Muscle Dreams! The two students from Freman College (Buntingford, East Herts) have just finished their A-Levels; both passionate about travelling and giving back to the community, they decided to do something that would make a difference. “Rather than just jolly around, we wanted do something worthwhile, so we got in touch with The Muscle Help Foundation and asked if we could try to raise some money for them”, they said. Megan hopes to study Chinese next year at Sheffield University and Grace is hoping to go down the Psychology route at Bath University – this will depend on their exam results. Like their families and friends, the charity is also keeping its fingers and toes crossed for the intrepid pair of fundraising interrailers. “Whilst travelling through our 11 stops – Brussels, Amsterdam, Berlin, Prague, Vienna, Lake Bled, Venice, Rome, Pisa, St Tropez and Paris, we will take photos in front of as many landmarks as we can, whilst wearing our Muscle Warrior T-Shirts and posing in the charity’s Muscle Warrior (salute)! Check out their Facebook page by clicking HERE or by clicking the image below.  They need sponsors and people willing to make a donation on their fundraising page which you can see by clicking HERE – you can sponsor Grace and Megan to complete their goal, or if you want to stretch them even more, you can set them a challenge that they will try and complete. They will be delivering the charity’s distinctive Muscle Warrior salute at famous landmarks in Brussels, Amsterdam, Berlin, Prague, Vienna, Lake Bled, Venice, Rome, Pisa, St Tropez and Paris. Returning back to Buntingford on Friday the 8th August, just in time for their A Level results, you can follow their schedule outlined below and also visit their Facebook page which illustrates their magnificent Muscle Warrior salutes at various locations across Europe – see below. The Hertfordshire Mercury published a terrific piece prior to their departure from Buntingford – click the image below or click HERE to read the full article.